The Meghalaya government on Thursday assured to bring amendments to the existing Meghalaya Residents Safety and Security Act, 2016 by incorporating provisions of Inner Line Permit into the act. This assurance was given by deputy chief minister Prestone Tynsong to a delegation of the Confederation of Hynñiewtrep Social Organisations (CoHSO) who met him at the main secretariat here on Thursday. CoHSO is a conglomerate of 14 organisations that demanded implementation of ILP to curb influx problem. The CoHSO also strongly opposed the Citizenship (Amendment) Bill, 2016 passed by the BJP-led NDA government in Lok Sabha to facilitate granting of Indian citizenship to immigrants who migrated illegally from Bangladesh, Pakistan and Afghanistan on the ground of religious persecution. CoHSO chairman Robertjune Kharjahrin told reporters that the meeting with the deputy chief minister was very positive. 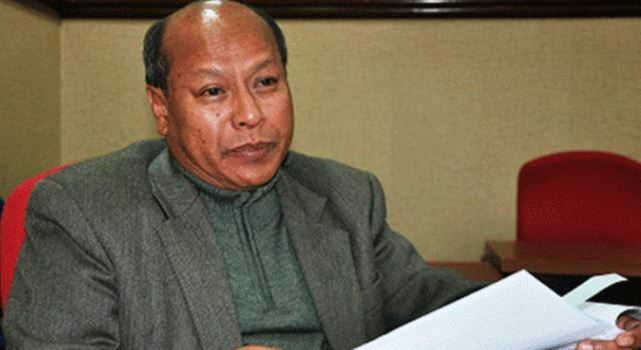 “The deputy CM has assured that the political and law departments will work hard to ensure that amendments to the Meghalaya Residents Safety and Security Act, 2016 would be made by incorporating provisions of the ILP into the act,” Kharjahrin said. While demanding that the provisions of ILP should be incorporated into the Act, Kharjahrin said, the Confederation has suggested four provisions which include no Indian citizen or foreigner should enter and settle without permission, anyone from outside the state who enters and settle illegally without permission will be penalized, the stay of any outsider in the state should not exceed 179 days and a provision related to prevention of sale of indigenous tribal land to any outsider. “We are satisfied with the assurance of the government given through the deputy chief minister to amend the act to ensure protection of the indigenous people in the state,” Kharjahrin said. The ILP system is still in force in Nagaland as well as Mizoram and Arunachal Pradesh. The permit system derives from the Bengal Eastern Frontier Regulations, 1873, and entails issuance of official travel documents to allow inward travel of an Indian citizen into a protected/restricted area for a limited period.